Scottish Youth Theatre Blog: We've asked a Greek to write about the Aesop's Fables. We've asked a Greek to write about the Aesop's Fables. This Family Storytime Season is Aesop's Fables season. Although we thought that we knew every single story, we realised that we didn't know that much about this weekend's the North Wind and the Sun. For this reason, we had a Greek friend of ours to write this post and tell what the story is all about and who is Aesop anyway. Being Greek you learn about Aesop before you even learn to speak. 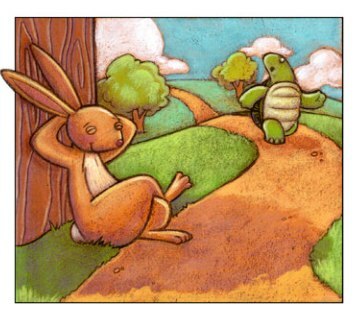 The first thing you must remember is that every character in Aesop's stories symbolises an idea or a human attribute. The fox is cunning, the tortoise is steady and determined, the ants are hard-working. Aesop very cleverly used animals instead of people, in order to engage audiences and actually help them learn. He was in fact the first storyteller. 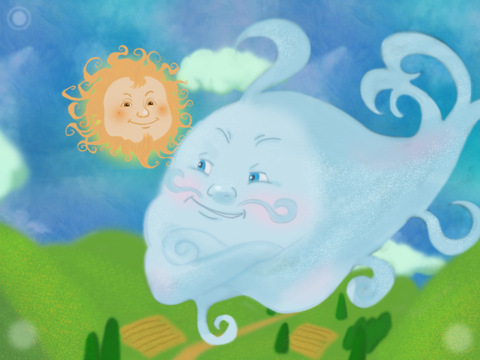 Now, this weekend's story, the North Wind and the Sun, is a story about persuasion and force. This time however, we don't have animals as characters. In the story, the Wind and the Sun fight about who is stronger. Seeing no other way of resolving this problem, they decide to try their power upon a poor traveller. What follows is a hard battle between cold and heat, between force and persuasion. The story gives many opportunities for fun and games, but at the same time it has a very useful message about all the things we can achieve with persuasion. Scottish Youth Theatre's storytellers have a unique way to transform stories to a fun and engaging family activity. You know, Aesop's fables were never meant to be in books. Their true purpose was to be performed by a storyteller. The North Wind and the Sun, Saturday 26 and Sunday 27 May, 10:30 and 12:30.